Insurance group: 36 - 40 How much is it to insure? 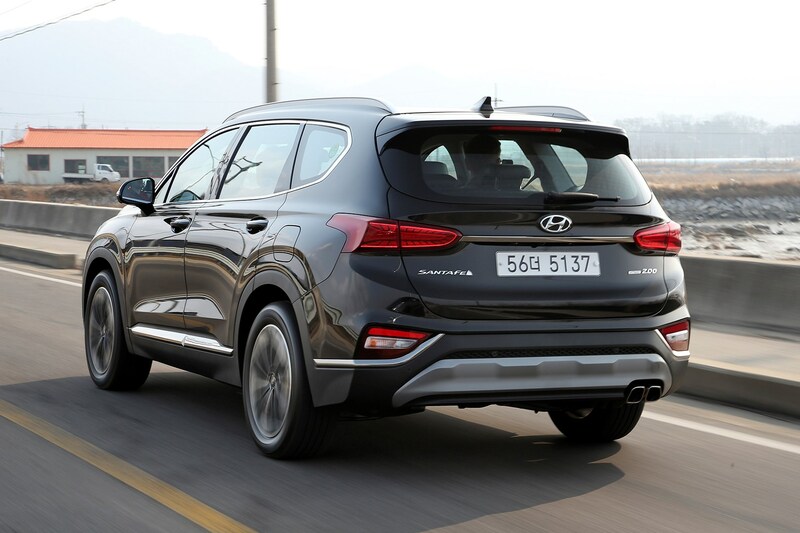 This is the fourth generation of the Hyundai Santa Fe, and it’s more practical, premium and pricey than ever. 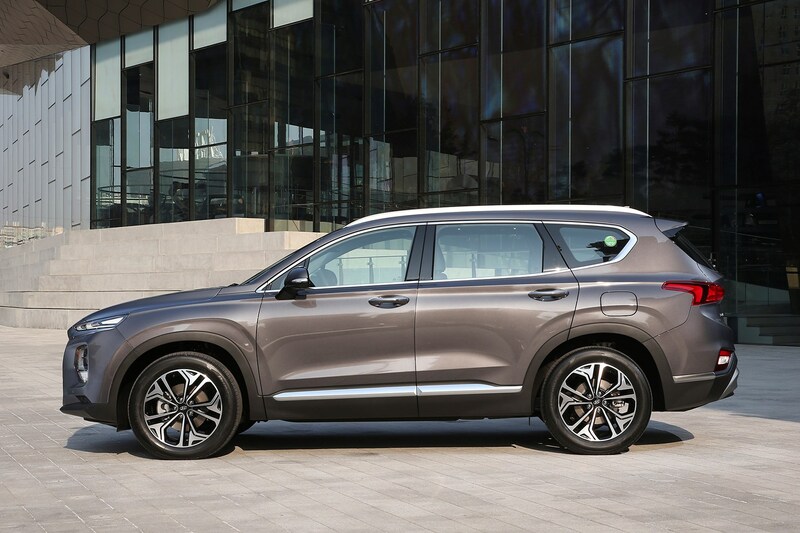 But none of those things are a huge surprise, because its rivals – the Ford Edge, Peugeot 5008, Skoda Kodiaq and Kia Sorento – are all moving in the same direction. 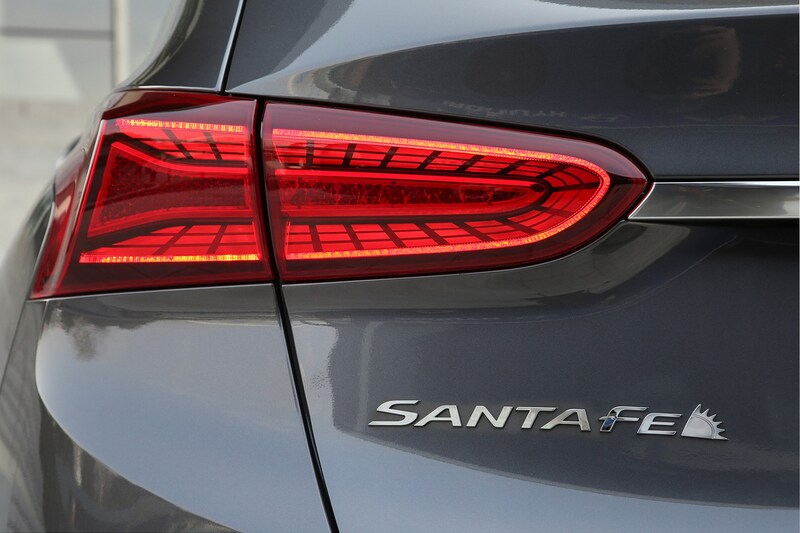 We’ve consistently come away impressed with how grown-up and refined the Santa Fe has become to drive. 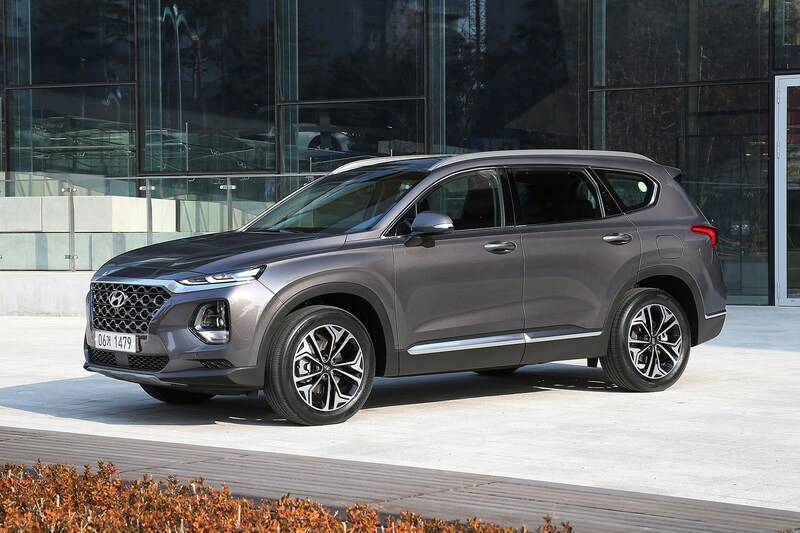 The styling has been altered to look like a more rugged SUV than ever, but still using Hyundai’s cascading grille as seen on its smaller crossovers, with headlights situated below the day-running lights. But it’s inside the biggest transformation has taken place. 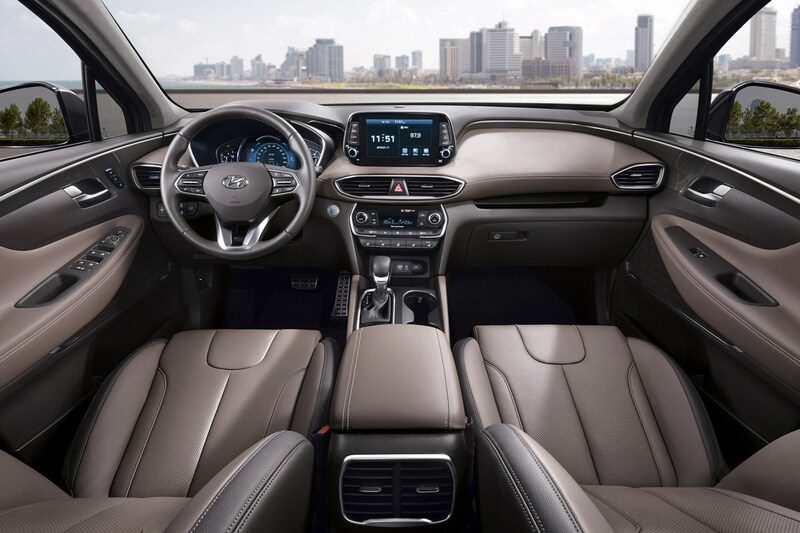 The Santa Fe is a far more premium proposition, making use of higher-quality materials, more cohesive design and the latest available technology. 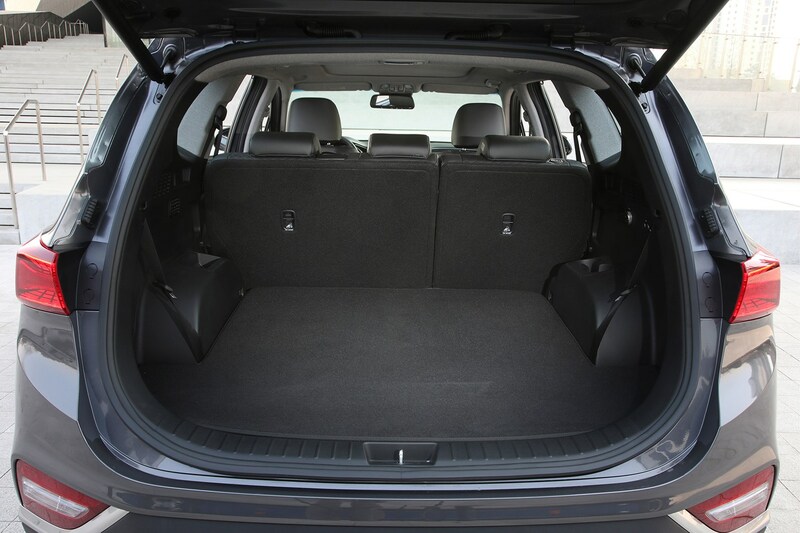 What engines does the Hyundai Santa Fe have? Only the one, but it’s a punchy and usably refined 200hp 2.2-litre CRDi unit available with either a six-speed manual or eight-speed automatic transmission. 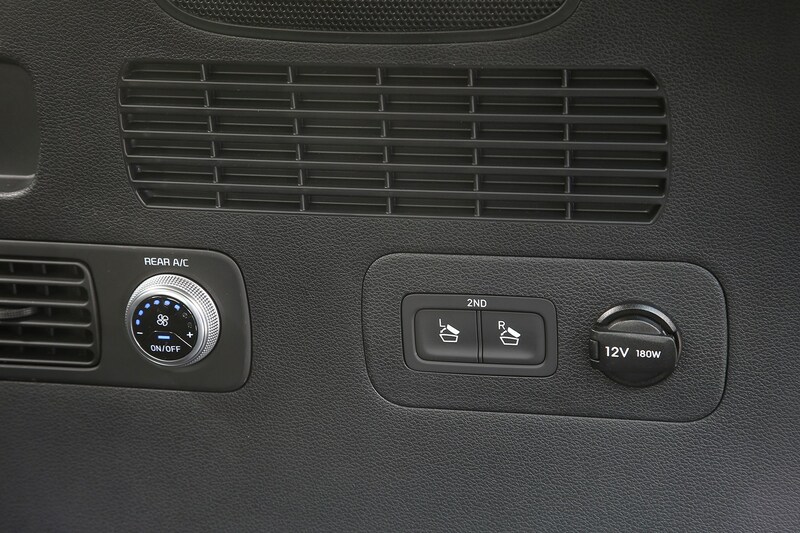 Customers are also able to choose whether they want front-wheel drive or four-wheel drive, the latter being Hyundai’s HTRAC torque-on-demand system. 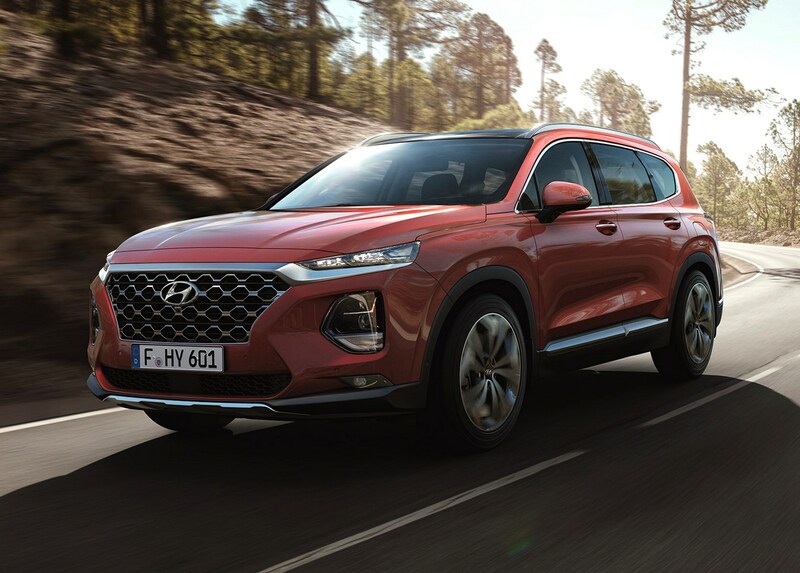 We’ve not been able to try the Santa Fe in an off-road environment yet, but the high ground clearance, strong diesel engine and clever four-wheel drive system should mean it’s capable of taking on what 99% of owners will have to throw at it. Back on the road, the 2.2-litre turbodiesel engine is capable of 0-62mph in 9.3 seconds (when fitted with front-wheel drive and the eight-speed automatic gearbox) and combined fuel economy of up to 49.6mpg. 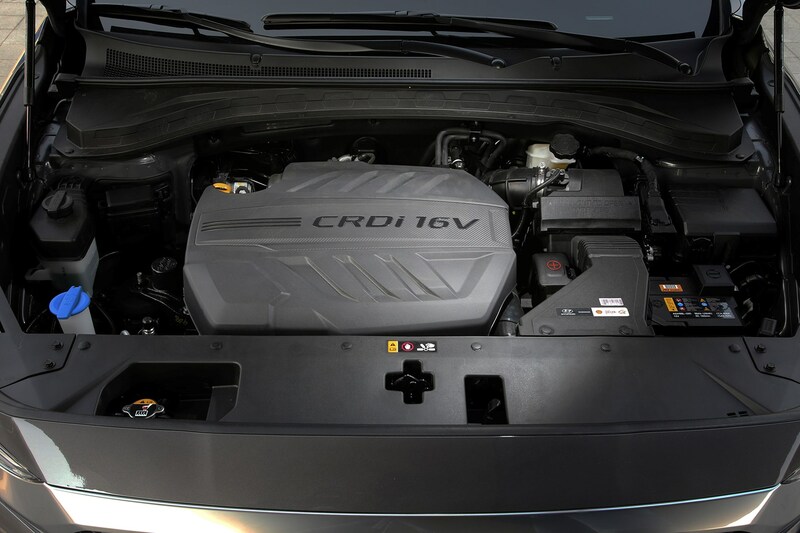 Overall, it’s a capable if not particularly memorable engine, providing a healthy amount of low-down torque and enough grunt for everyday driving. It’s quiet enough under normal load, too, but hitting the higher reaches of the rev range does bring about an unwelcome harshness. 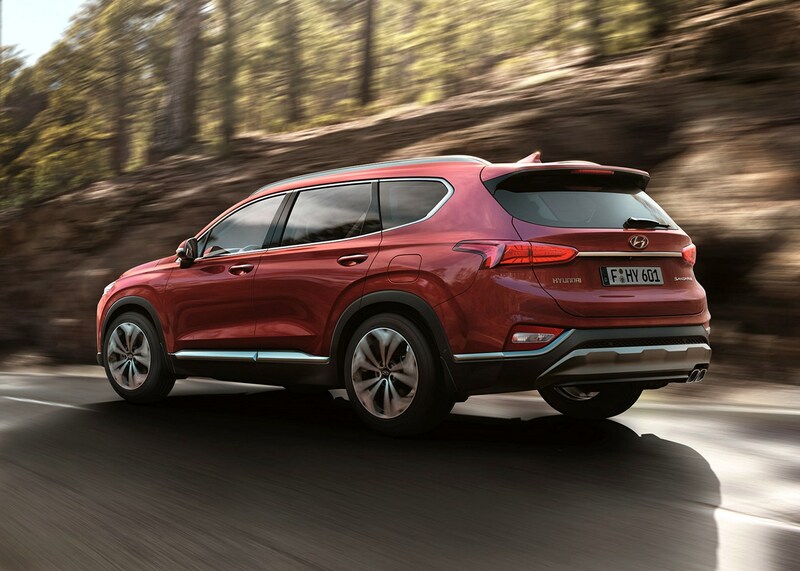 Regardless of which of the Santa Fe’s three different trim levels – SE, Premium and Premium SE – you opt for, standard kit levels are generous. Even in base SE spec, customers benefit from front and rear parking sensors with a rear-view camera, privacy glass, dual-zone climate control, heated front seats, cruise control, autonomous emergency braking and Apple CarPlay/Android Auto compatibility. 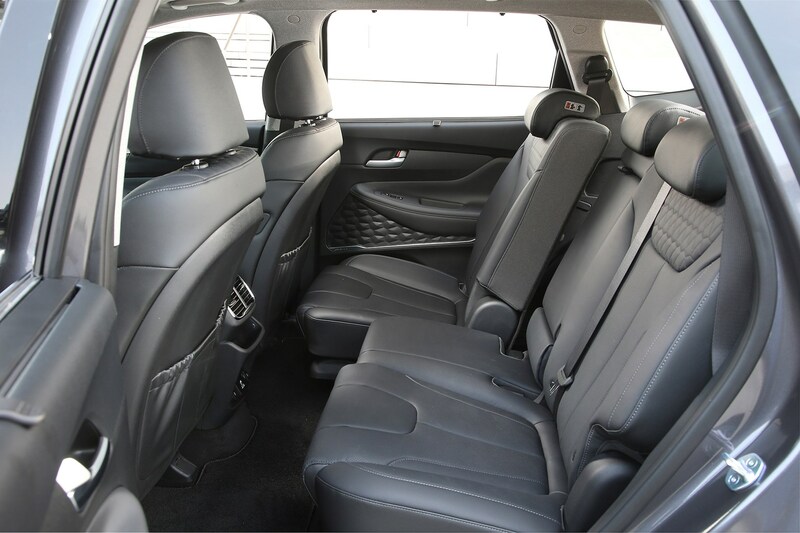 If that’s not enough, then the mid-spec Premium trim offers a few more goodies, including electrically adjustable front seats, a high-end Krell sound system and keyless entry and ignition. 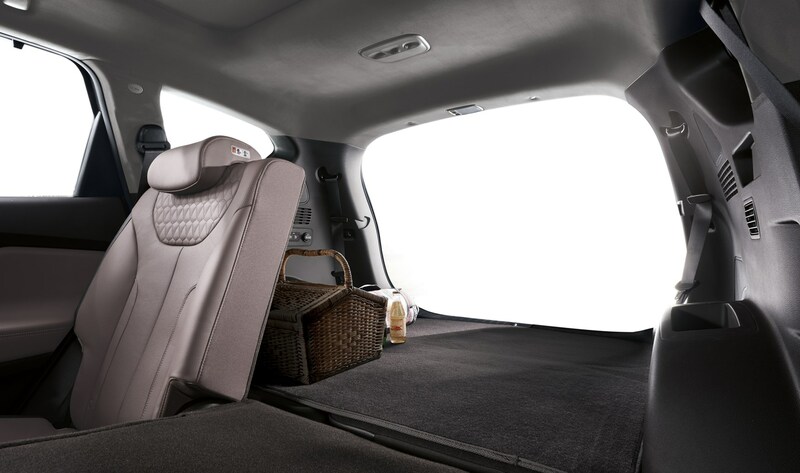 Top-of-the-line Premium SE, meanwhile, brings luxuries such as a head-up display, ventilated front seats with drivers’ seat memory function and a panoramic sunroof. 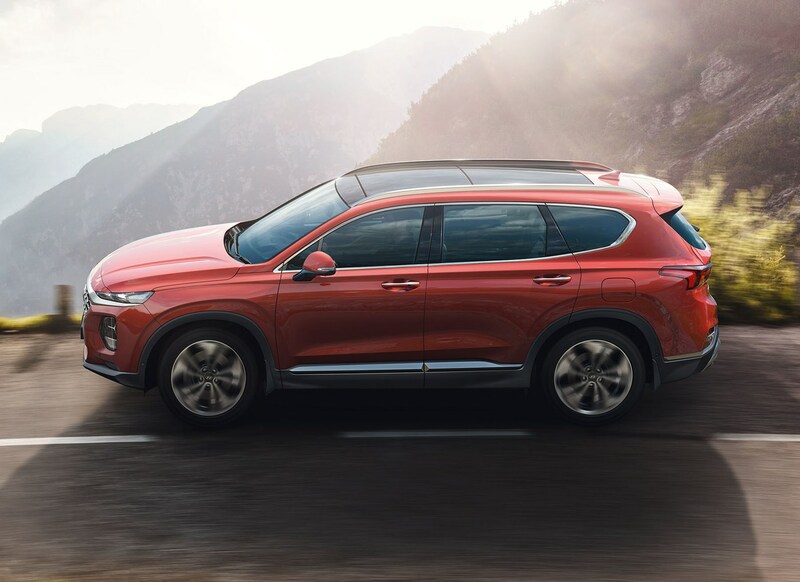 It’s unlikely that you’ll be buying a seven-seat SUV for the thrills they provide from behind the wheel, so the Santa Fe’s safe, predictable handling shouldn’t be too much of a disappointment. That said, it doesn’t feel as crisp or agile as a seven-seat Skoda Kodiaq. Body roll (where the body of the car leans on the chassis through corners) is noticeable (especially when you press hard into a bend), but nowhere near enough to make the car feel unstable. Outright grip levels are strong, and give the driver a reassuring layer of confidence in the car’s ability should they be forced into an evasive manoeuvre. Ride comfort is good for the most part, rarely feeling unsettled by your average British road. 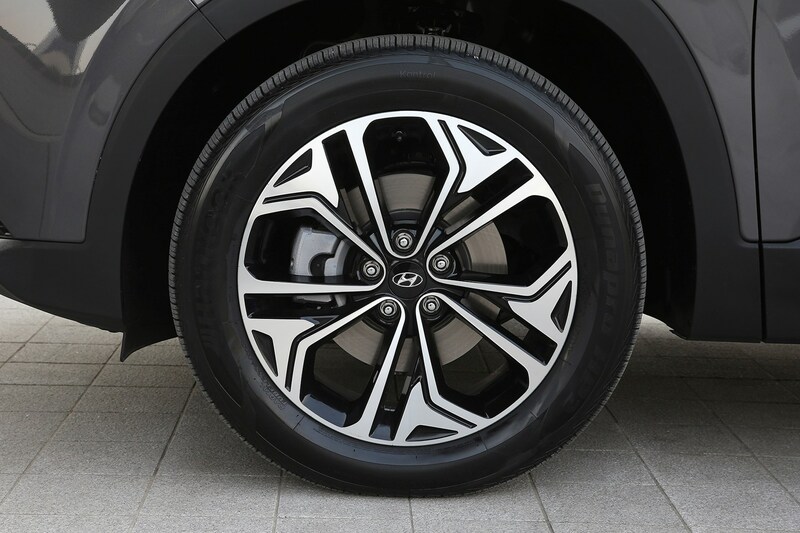 Passengers (particularly those in the back) of a particularly sensitive disposition will note a slight sharp edge to the ride over potholes and cracks in the road (especially on larger 19-inch wheels), although not enough to spoil what is an accomplished performance. 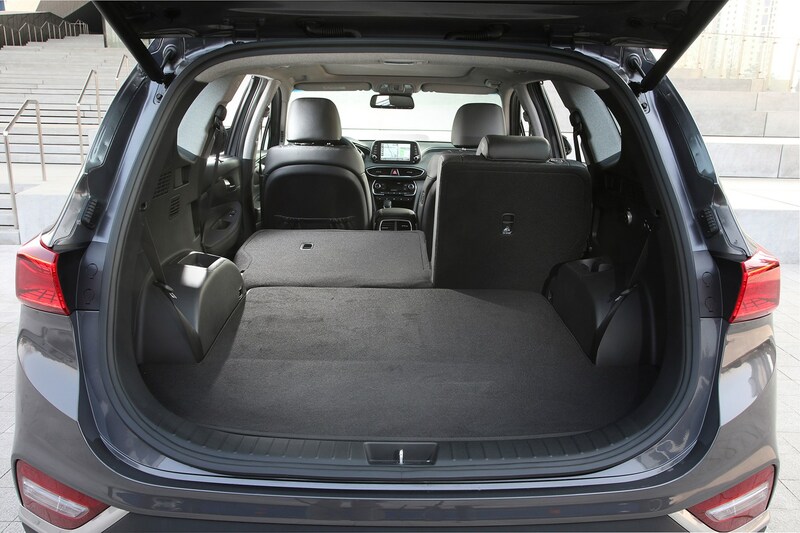 Bosting a large 547-litre boot in five-seater mode, the Santa Fe offers up plenty of luggage room, or ­– should you wish – space for two extra passengers in the third row. 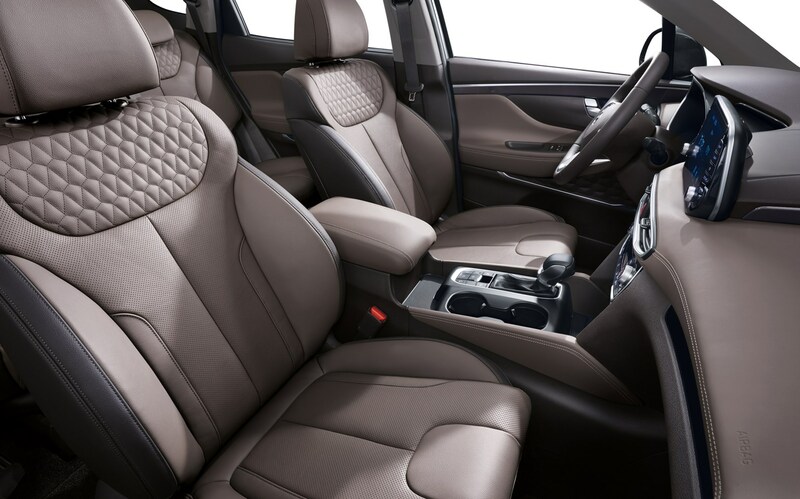 Note that like many of its rivals, however, said seats are only suitable for children. 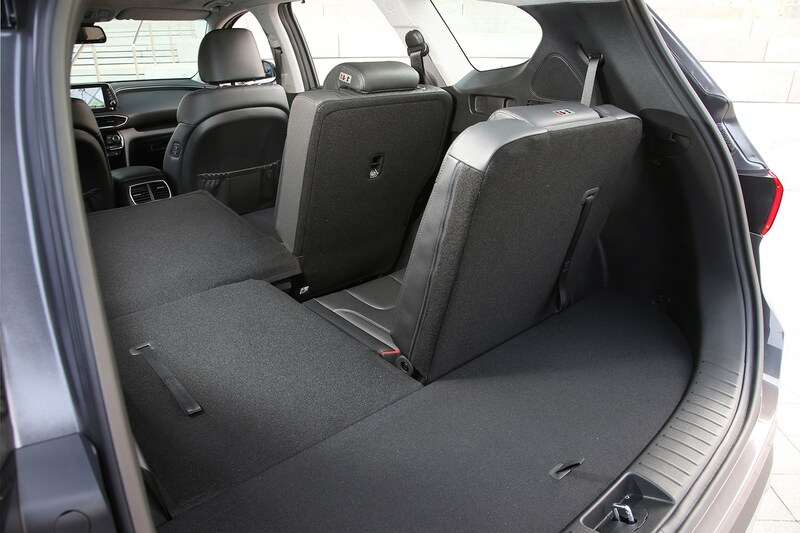 Cabin storage levels are well thought-out with plenty of cubbies and pockets for the usual family car bric-a-brac, plus two USB sockets in the back should keep the kids happy and their devices charged. Another area the Santa Fe promises to do well in is safety. 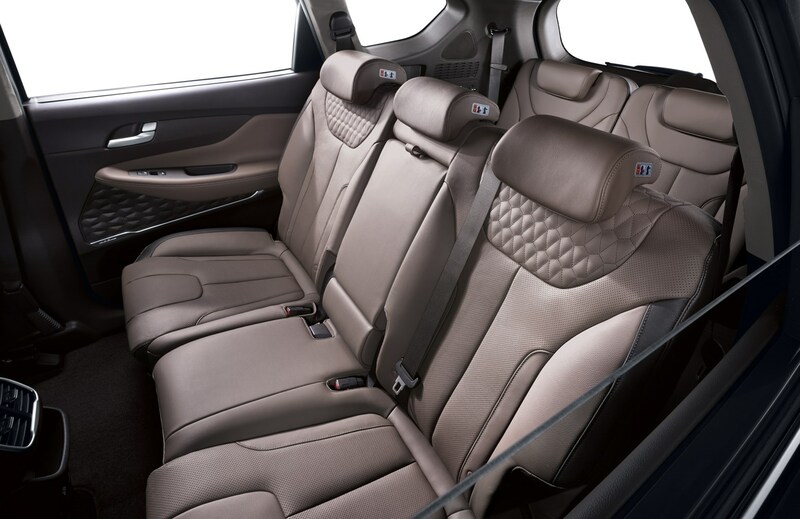 Hyundai has packed in a number of useful gadgets, including a system that senses if you’ve left your kids in the back row, warning you by flashing the lights and beeping the horn if you lock the car and walk away. That’s on top of a suite of driver-assistance systems that will accelerate and brake for you as well as keeping you in your lane through corrective steering. It received a five-star rating when it was crash-tested by Euro NCAP in 2018. 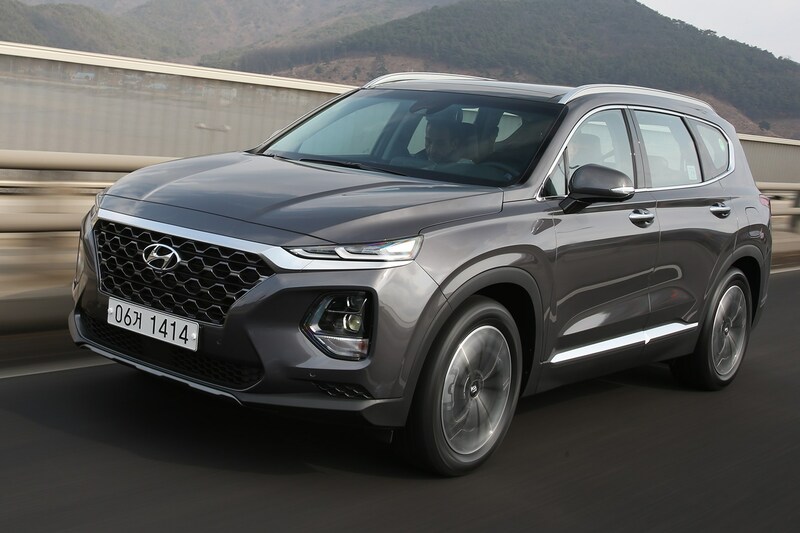 The Hyundai Santa Fe has taken a big leap over its predecessor, edging ever further into the premium car market the South Korean manufacturer is pushing to be part of. There’s tons of equipment, a grown-up drive, acres of practicality and improved quality all-round. Predictably, the price has also gone up, with the Santa Fe resembling a hefty outlay whether you pay in cash or on finance.